I am a NERC-funded PhD student in my 3rd year. My PhD is focused on the microfossil response (including ranges, extinctions and changes in abundance) over the Toarcian (Early Jurassic) Oceanic Anoxic Event. As a result of my undergraduate degree and my PhD research, I am interested in micropalaeontology and more specifically palynology of the Jurassic. I am currently also working on foraminifera from the Lower Jurassic. My research involves integrating high-resolution microfossil data with published geochemical and macrofossil proxies for the period of global environmental change during the Toarcian Oceanic Anoxic Event. By combining these multiproxy approaches we are able to build up a complete palaeoenvironmental reconstruction of this period of change, which has important similarities to current climate predictions. I am very much interested in studying the effects of perturbations in the palaeoenvironment on the micro-community, especially during the Mesozoic where periods of global change were followed by pronounced radiation in major microfossil groups. Having worked in industry for a short period of time, I am particularly interested in the application of microfossils for other applications such as biostratigraphy and for palaeoecological reconstructions along with other proxies. MGeol in Geology with Palaeobiology, University of Leicester. Kennedy, Alice E. & Coe, Angela L. In press. Development of the freeze-thaw processing technique for disaggregation of indurated mudrocks and enhanced recovery of calcareous microfossils, Journal of Micropalaeontology. Kennedy, Alice E., Coe, Angela L., Riding, James and Gosling, William D. 2014. High resolution microfossil results from the Toarcian Oceanic Anoxic Event, Yorkshire, UK, 9th International Congress on the Jurassic system, Jaipur, India. 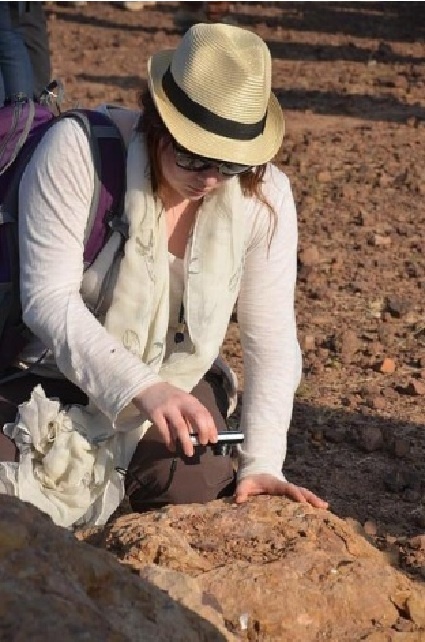 Kennedy, Alice E., Coe, Angela L., Riding, James and Gosling, William D. 2014, High-resolution palynomorph results and the extraction of foraminifera from the Toarcian Oceanic Anoxic Event, Yorkshire, UK, Jurassic palaeoenvironments and Life Workshop, Marrakech, Morocco. Kennedy, Alice E., Coe, Angela L., and Riding, James. 2012, High resolution microfossil extraction and study of the Toarcian Oceanic Anoxic Event, Yorkshire, UK, The Micropalaeontological Society AGM, Keyworth, UK.